We check out the much-hyped Kingsglaive: Final Fantasy XV, to see how it fares to fans and non-fans alike. 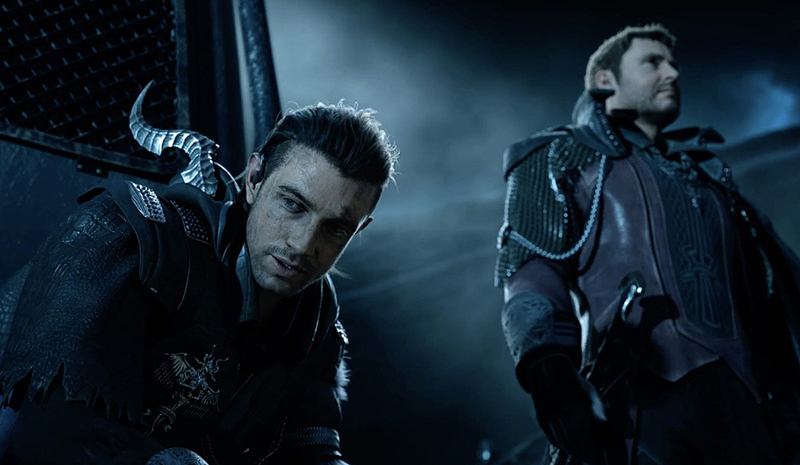 If Spirits Within was a huge mistake and Advent Children a nostalgic fan service, Kingsglaive is an entirely different animal which fans of the series will adore but others may find too confusing. Directed by Takeshi Nozue who was also responsible for several Final Fantasy and Kingdom Hearts titles, Kingsglaive starts off with an explosive and beautifully rendered battle between the technologically-advanced kingdom of Niflheim and the magic-wielding Lucis. However, the first fifteen minutes get a bit confusing even to one who has played several Final Fantasy games because there’s so much going on (“Who are the good guys again? Are those mages summoning that demon that looks like Sin from Final Fantasy X? Oh wait, were they trying to kill the demon with Firaga?”). Things slowly become more understandable as the graphic eye candy dies down and viewers are given the background of the Kingsglaive – an elite unit of knights charged to protect Lucis and the magical crystal which King Regis (voiced by Sean Bean) uses to shield the royal capital of Insomnia. The story then zeroes in on Nyx (voiced by Aaron Paul), a war hero who in spite of having a dark past continues to loyally serve the King. This loyalty is put to the test as a Glaive is found dead and the battalion falls into dissention. Simultaneously, Niflheim offers terms of peace which King Regis accepts, even at the extent of putting towns beyond the shield of Insomnia at Niflheim’s mercy. As a sign of unification, King Regis is to marry his son Noctis to Lunafreya (voiced by Lena Headley), the Princess of Tenebrae, one of the first cities conquered by Niflheim. That’s just half of the entire plot. More twists and turns are revealed in the second part of the movie which discusses why exactly the Emperor of Niflheim wants the mysterious magic that protects Insomnia. Good thing that while the plot may be complicated, Kingsglaive’s characters are much easier to read. Probably the most intriguing character in the movie is not Nyx – who is somehow reminiscent of Crisis Core: Final Fantasy VII’s Zack Fair – but King Regis. For a ruler who is wise and benevolent, he makes decisions that are questionable: He leaves Lunafreya behind when Tenebrae is first sacked; he protects only Insomnia instead of the entire Kingdom of Lucis; he accepts a peace treaty with a treacherous empire without thought of sacrificing his people. He barely even redeems himself in the end, and yet viewers will slowly get to understand the reason behind his actions, and find them fitting for one charged with a heavy burden. Compared to King Regis’ development, Nyx seems bland. He’s your everyday cadet with mad magic skills and a dark past; a character formula which fans of the game have already seen in Cloud Strife and Squall Leonheart while not exactly making it to their cult-following status. It’s the people around him that hold the movie together, and he almost always borrows light from them in order to shine. His final scenes are probably where he shines the most, and it’s mostly brought about by the sudden dose of true-blue Final Fantasy lore of spells and magical creatures. While some parts of the movie do seem hugely reminiscent of other fantasy films (the Lord of the Rings reference was quite glaring), Kingsglaive falls into classic Final Fantasy mythos in the end with satisfying building-crushing creatures battling things out very much like in-game summons. Yet the glorious eye candy becomes over-enthusiastic, and once again makes everything seem confusing. 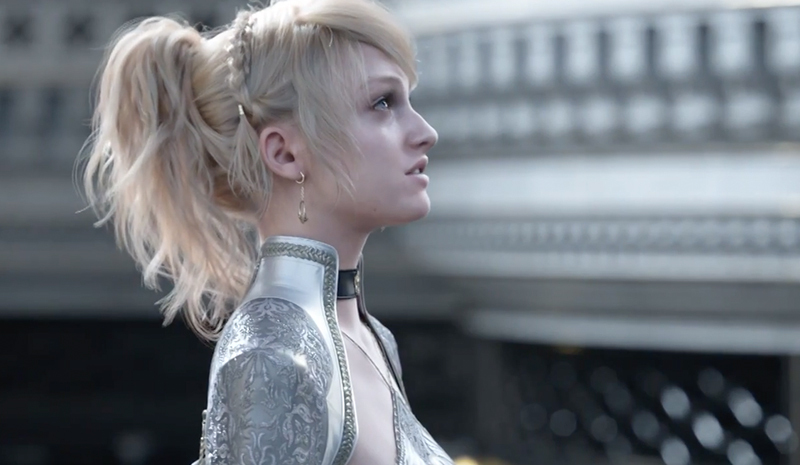 All in all, Kingsglaive is a good intro to Final Fantasy XV, and is something that the fans will enjoy. (Easter eggs, anyone?) But while it may successfully keep up the hype for the game’s release this November, those interested to give the series a try may find the movie a beautiful mess that’s wanting cohesion. It’s enjoyable for fans, but it’s not everyone’s cup of tea.